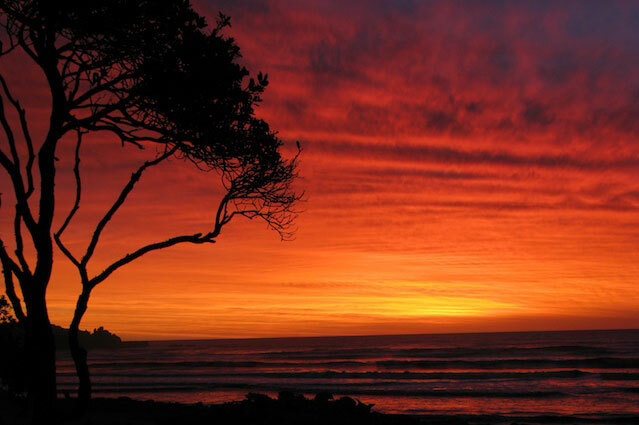 Wave Watchers Retreat is located in Punakaiki Village on a private beachfront site in the Paparoa National Park. It is a self-catering 2 bedroom/3 bathroom luxury beach cottage for one or two couples. The cottage is surrounded by flowering gardens and outside decking with stunning coastal views. The full kitchen has all the major appliances you’ll need for quick breakfasts or a special sit-down meal: oven, range, dishwasher, microwave, refrigerator. You’ll find plates, glasses, silverware, and more for setting the Rimu wood dining table. You’ll be able to do as much or as little in the kitchen as you’d like while on vacation. And if you want to have a cookout, there is a gas BBQ and outside table and chairs – just grab some steaks and a glass of wine and enjoy the ocean and sunset views! A washer and dryer in the small laundry room eliminates worry about packing enough clean clothes. Laundry soap is provided. Kitchen: Ketchup, mustard, barbeque sauce, salad dressing, spices, coffee, sugar and milk (and coffee plunger). tea bags, hand soap, paper towels/napkins. Ziploc bags, garbage bags, aluminium foil and plastic wrap, dishwashing detergent. Bathrooms (3): Hairdryers, soap, shampoo, conditioner & other toiletries, tissue, toilet paper. 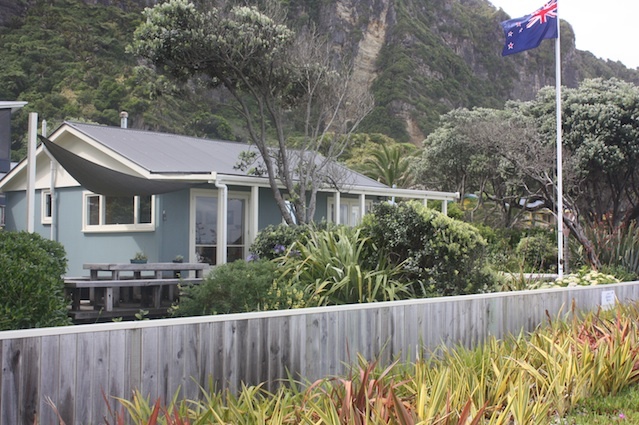 At the corner of Webb St and Dickinson Parade, Punakaiki, Wave Watchers Retreat is situated directly on the coast at Punakaiki in the Paparoa National Park. 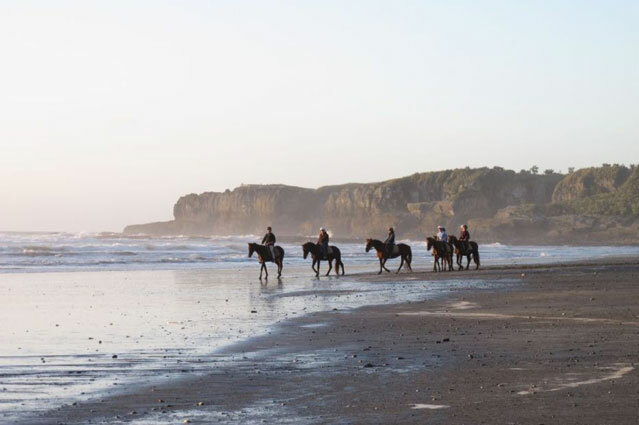 It is on the West Coast of the South Island of New Zealand and is located three-and-a-half hours from Christchurch, 30 minutes north of Greymouth and 45 minutes south of Westport on State Highway 6. Featured and Recommended in Air New Zealand’s Kia Ora Magazine.